I’m sitting right now relaxing on my back patio with a cup of diet Dr. Pepper in hand. I’m soaking up the view and smells of my backyard. I’m eying my various fruit trees, some loaded with peaches, apples and plums, taking in the aroma of freshly cut grass, and looking at my recently built shed, a metal shed. If you have ever put up a metal shed, you know where I am going with this. I had budgeted one day of about 10 hours to get this thing built. Wrong! It ended up taking my father-in-law and me over 17 hours to put it up! Frustrating? Very. I still have more work to do on it – putting up shelves and moving the junk, I mean “stuff” out of my garage and into it. It seems like my work list is never ending. But you know, I’m at peace right now. I’ve just completed a huge task, got more to do, but here I am sitting on my deck soaking up the view and smells of why I love where I live. This is a perfect example of what the Bible calls a ‘Sabbath Rest’ or what I like to call true peace – being comfortable in uncomfortable situations. The other day I was going through my emails and ran across the most interesting picture. This got me to thinking about Jesus. Isn’t this what He came to do? He came to give us peace in the midst of challenges and trials, not get rid of them. This thought led me to do two things. One, I changed the author’s phrase to “true peace/rest is being comfortable in uncomfortable situations.” And then I looked up the word “rest” in the Bible. Wow, what an interesting study it proved to be. The very first time the word “rest” is used is Genesis 2:2, “By the seventh day, God had finished His work He had been doing; so on the seventh day He rested from all His work.” The word Sabbath (Shabbat in Hebrew) is none other than the root of the word for “rest” in Genesis 2:2. It means to cease, desist, rest, to put an end to, to sever, or to stop. Therefore the idea behind the Sabbath day of rest is to stop doing something. What did God stop doing on the Sabbath? Psalms 74:12 states, “For God is my King of old, working (to do or to make) salvation in the midst of the earth.” This idea of God still working is echoed in the New Testament as well in John 5:17, “My Father is always at his work (to labor for, to toil, a trade) to this very day, and I, too, am working.”Guess what day Jesus makes this statement? The Sabbath day! Jesus was working on the Sabbath. Whoa, wait a second. I thought Jews were not supposed to work on the Sabbath? Yes, that is right, but this has always been the question, “How do you define work?” What we are going to see is that God didn’t cease all His work on the 7th day, only His work of original creation, not His work of salvation. We see this truth very clearly in Jesus. During His lifetime, Jesus was seen as a healer, not just a rabbi. Therefore the religious leaders of His day got on His case because He was healing on the Sabbath. And if that were true, Jesus, being Jewish, would be breaking Torah (Ex. 20:8-12) by healing (aka a doctor) on the Sabbath. Furthermore, Jesus would be sinning and thereby could not be God and die for all of humanity’s sins. But, was Jesus just healing? Or was He doing something else, like His Father’s work? In Matthew 12, Jesus had a conversation with those accusing Him of working on the Sabbath. He tells them, “Haven’t you read in the Torah that on the Sabbath the priests in the Temple desecrate the day and yet are innocent?” He is more than likely referring to Leviticus 24:8 where the priests were to replace the old Showbread on the Table of Presence with fresh hot bread. This was done on the Sabbath. They were doing the work God asked them to do and it was on the Sabbath. So doing the work of God on a Sabbath was okay to do. He was not a miracle worker or a healer by trade. He healed people to prove Who He was, “Even though you do not believe Me, believe the miracles, that you may know and understand that the Father is in Me, and I in the Father” (Jn. 10:38). The miracles were to draw people to believe in Who He was – God in the Flesh. This is what Jesus meant in Matthew 12 when He said He, as the Son of Man, was Lord of the Sabbath. He was and is the Messiah of Israel. He is the Savior of all mankind – Jew and Gentile. There is more to this word shabat, however. In Leviticus 16:31, Moses gives us the term “Sabbath of rest.” Guess what day this takes place on? The Day of Atonement. “Atonement is to be made once a year for all the sins of Israel.” While the High Priest was sacrificing one goat and letting another one go for the sins of the nation, the people themselves were resting. Someone was working for another to be at rest! Someone was providing rest while others were enjoying it. Whom could that be a picture of? But wait there is more. In Leviticus 23, the day of no work/the day of rest (though the word shabat is not used in this passage) was not on Passover, but the day after the lambs were sacrificed and eaten. Rest comes after the work was done. Now read Colossians 2:16-17, “Do not let anyone judge you by what you eat or drink, or with regard to a religious festival, a New Moon celebration or a Sabbath day. These are a shadow of the things that were to come; the reality, however, is found in Messiah.” The entire Tanach, the Feasts, the sacrifices and the Days all are shadows, not the real thing. The real deal is what causes the shadow. In this case, Paul, a believing Jewish rabbi, tells us that Messiah is the reality, the one that casts the shadow. So to whom was the high priest pointing when he provided atonement for the nation of Israel while the nation was resting on the Day of Atonement? Jesus. Who provided the forgiveness of sin for the entire planet through His work – Jew and Gentile – so people could rest? The Passover Lamb of God, Jesus Himself. So what do we learn from this word shabat? It carries the idea of resting while there is still work to be done. God still had a job to do while He was resting in Genesis 2:2. He finished His task of creation, but He still had a work of salvation to do. 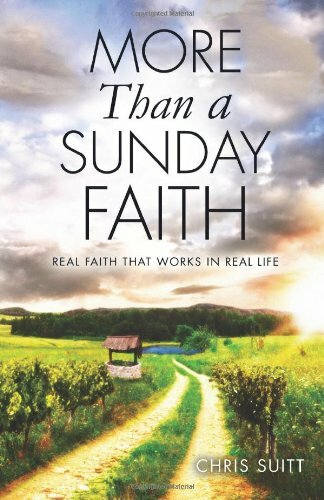 Jesus was resting while working on the Sabbath – proving Who He was so people would put their faith/trust in Him. Shabat also has the idea of resting while someone else does work on your behalf. Jesus provides for our rest. He gives us the ability to be at peace, while there is work still to be done. Jesus said, “Come to Me, all you who are weary and burdened and I will give you rest” (Matt. 11:28). We love this part, but we forget to keep going. Jesus further said, “Take My Yoke upon you and learn from Me, for I am gentle and humble in heart, and you will find rest for your souls. For My yoke is easy and My burden is light” (11:29-30). Rest in the midst of work. Jesus gives us rest, but He tells us to be yoked to Him at the same time. A yoke was a harness put on two oxen so they would work together as a team. When the oxen were at rest, their owners didn’t yoke them! So the yoke tells us that there was work to be done, but with Jesus yoked to us, there can be rest. Notice He said, “My yoke is easy and my burden is light.” He didn’t say they were not existent. This is what Philippians 4:4-7 is taking about. In the midst of stressful situations, we are told to rejoice! Why? The Lord is near. And instead of freaking out, we are to rejoice and hand over those stressful situations to the One who is yoked with us. And when we do, “the peace of God, which transcends all understanding, will guard your hearts and your minds in Christ Jesus.” This is true peace. Paul never said the stressful situations went away. He simply said you’d have peace in the midst of them. True peace is being comfortable in uncomfortable situations. This is the essence of a Sabbath’s rest. Work is still to be done, but we are to rest in the midst of it. I finished the shed, but there was work to still to be done. In the midst of that, I could sit on my patio drinking my diet Dr. Pepper while taking in the sights and smells of relaxation. And our Jewish brothers and sisters get a cool reminder of this every Sabbath day. Come sundown on Friday, when Sabbath begins, they can let the past week go (their shed being done), and rest (sitting and enjoy a cool drink on their patio); yet knowing another week is coming (cleaning out the garage). The Sabbath day, along with many other practices found in the Tanach (aka Old Testament) come alive in Jesus. They make more sense and have a deeper meaning because they all point to Him and His work on our behalf so we can rest. So let’s take this home. We all have lists of things to do. Can you rest in the midst of that to-do list? Can you hand that daily to-do list over to Jesus and let Him give you peace while it is being whittled down? Peace when it’s not? This is peace that makes one comfortable in the midst of uncomfortable situations. When new challenges come your way, how do you view them? Do you view them simply as opportunities to rest as you see your God work (creation, Day of Atonement, Passover, etc.)? This is true Sabbath rest – keep walking in peace in the midst of the challenge. Are you taking a day off to rest and reflect on the fact that you can rest in the midst of work? Think about when the Israelites were given the Sabbath. They were primarily an agricultural society. And they were told to take a day off each week in the midst of the planting and harvesting seasons. This took trust! Could they relax knowing that work was to be done? Would they trust their God and His Word to protect them from invaders while the fields were full of fruit? We in America hate to slow down. Is it because we lack trust in our great and awesome God? Tithing of money and time is a way to show that you trust God to meet your needs – even with the harvest, the huge debt, or the huge workload staring you in the face. We can learn a lot from our Jewish brothers and sisters on this point. They take a day off to rest. Instead of bashing them for this (“You’re going back to the Law.”), let’s learn from them. A Sabbath rest carries the idea of being at peace with God because He forgave your sins. Are you resting in faith or still trying to work your way towards a relationship with the living God? True peace comes from the work Jesus did for you so you can rest in the midst of trying times as well as the daily routine. Are you resting as you walk with Him? Oh come to think of it, my glass is empty. It’s time I put a little more Dr. Pepper in it and enjoy the sights. The problem with words is when we use words that don’t convey to the listener what we are really trying to say. How many times have you been in a conversation where you have been misunderstood because you used a certain word that your listener took in a way you didn’t mean? And then you find yourself saying, “That’s not what I meant. Let me try again” and this time you use a different word. The same is true of the word “church”. The Greek word (the language in which the NT was written) behind our word “church” (by the way, this word didn’t come about until the 12th century) is “ekklēsia” which comes from two other words “ek” and “kalew”. Now put these two concepts together and you have those are who called out, those who have moved from point A and are now at point B. Acts 20:28 reveals that point B is God. Romans 16:16 says that point B is Christ. 1 Corinthians 11:18; 14:5 states that it is other believers in Christ. “Church” then is not about programs or buildings, it’s not about Sunday or Saturday morning services, nor is it about a place. The ekklesia is about relationships—period. Relationships between Jesus, who is the head of this group, and between other called out ones. You heard me say this before, and you’ll hear me say it again, you can only take two things with you to heaven—your Christ-like character and people. Sound like what the ekklesia is all about? The moment we place our faith in Jesus as our LORD and Savior, the Spirit of God puts us into relationship with other believers and He expects us to walk with them, not in our old ways of dealing with people (point A), but with new ways (point B). We are no longer to be like the world, copy what society tells us or live in the various lifestyles that we did before we put our trust in Jesus (point A or what Paul calls in Eph. 5:8 “darkness”). No, we are “taught with regard to your former way of life, to put off your old self” (point A) and instead “be imitators of God as dearly loved children and live a life of love, just as Christ loves us” (point B—Eph. 4:22; 5:1). A person who belongs to the called out ones should be on a journey to be like Jesus, which means getting along with other believers. It is no coincidence that the Spirit has given over 30 different ways in which to walk with each other on this journey (i.e. the one-another phrases). I hear it all the time, however, and you probably have as well, “I don’t like Church.” What they are really saying is, “I don’t like the people that meet at such and such a place.” In fact, I’ve heard this complaint go a step further, “I feel more accepted and loved by my non-believing friends than I do by those at church.” This should not be! I believe a partial answer to this problem is found in the infamous bumper sticker, “Christians are not perfect, just forgiven.” This statement is true, but it’s also deceiving. Because of what Jesus did for us on the cross, we are truly forgiven of all our sins—past, present and future. So the statement is true. I am on a journey to be like Him and will make mistakes, sin, along that journey. Therefore, I am not perfect just forgiven. But the statement is deceiving in that it leads people to believe that since I am not perfect, I can act any old way I desire because I will be forgiven. This is from the pit of hell. This is why people are turning away from the “church” The called out ones at “church” are stuck at point A yet want to make others believe they have arrived at point B. This is fake. This is unhealthy and it is flat out repulsive to those who need real people to love and accept them on their journey to be like Jesus. Healthy ekklesians are in process, taking steps of faith on the high wire act of being like Jesus. Sure there are risks of falling when you step out in faith, but don’t let that hinder you from walking on that high wire. Why? You have a safety net! “Grace (aka the forgiveness on the bumper sticker) is the safety net of faith, not the license to be complacent.” As we walk with Jesus by faith, by taking risks in trusting Him, we will at times stand and at other times will fall in the process of putting off the old and putting on the new, but grace is our safety net. It will catch us and give us another shot on that high wire. And just as we want that room to grow, let’s make sure we give that same grace to others on their journey to be like Jesus as well. Healthy believers will be real with each other. “Brother, I’m on a journey too. 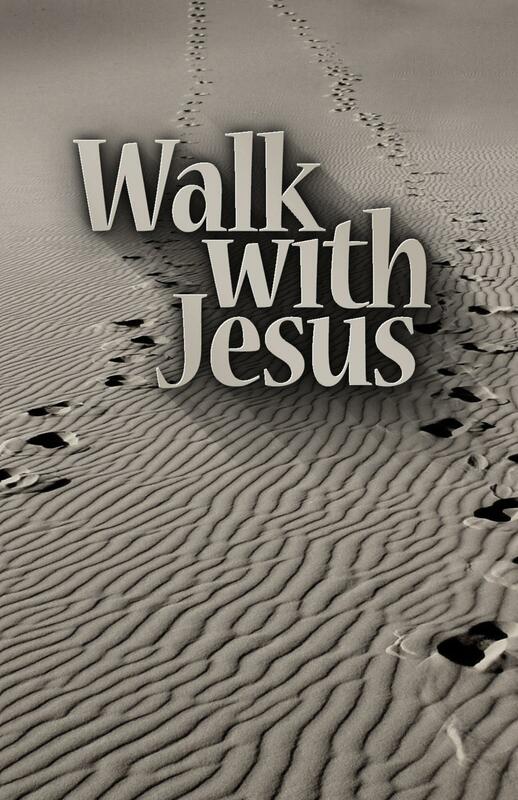 Let’s walk together.” Let’s not act church, but be called out ones—people moving together from here to heaven. If you knew for certain that an earthquake was going to happen tomorrow, what would you do? You’d prepare! Jesus has told us that an earthquake is coming – His return to take His Bride the Church home. Yet because it has been over 2,000 years since He made this statement, most people who call themselves Christians today tend to play rather than prepare. They live as if He were not coming tomorrow. How do I know this to be true? I recently read a statistic that only 4% of those who call themselves Christians live with a Biblical worldview. In other words, only 4% live their lives through the lens of God’s Word. 4%! This means that 96% of those who call themselves Christians will not be prepared when Jesus returns for His Bride. They don’t believe He is returning anytime soon; therefore they can live anyway they desire. But is Jesus’ return closer than they believe? Are there ways to tell if He really could come tomorrow? Absolutely. When Israel became a nation again in 1948 in fulfillment of Ezekiel 37, the clock started ticking even faster. From my article on “America in Prophecy – Where is She?”, you can get other markers showing the Lord’s return could be very soon. The point is, the big hand on the clock is moving closer and closer to return hour. The following story gives us another marker that His return could be closer than we think – the preparation to build the 3rd Temple. Jesus tells us in Matthew 24:15-15 that a Temple in Jerusalem must be standing when the False Messiah (sometimes referred to as the Antichrist) arrives on the scene to set up shop in it. This event takes place after Jesus comes for His bride. Keep in mind that Jesus makes this statement about 35AD when the Temple was still standing. Thirty-five years later that very Temple was destroyed by the Romans in 70 AD who wanted to crush the Jewish revolt. Since then, the Temple Mount has been without a Jewish Temple though the Muslims have done plenty of building on it themselves. Having said all that, the Temple Institute in Jerusalem is dedicated to rebuilding the 3rd Jewish Temple right on the spot where the Temple in Jesus’ day stood. The Jewish people believe a 3rd Temple must be built so the Messiah can come. Therefore, they are putting that belief into action. They are currently preparing the priests for service. They have built all the major instruments for worship in the Temple – the Menorah, the Table of Showbread, the Incense Altar, the Laver for washing and now the last major piece – the Sacrificial Altar – is being readied. “The Temple Institute will begin building the sacrificial altar on Thursday, Tisha B’av, a fast day when Jews mourn the destruction of the Temple (ed. note: the one that stood during Jesus’ day) some 2,000 years ago. Even a minimum size altar will work out to be approximately 4 meters tall, 6 meters long, and 6 meters wide. Workers have collected around 10 cubic meters of rocks weighing several tons already. Events that the Bible talks about are coming true in our lifetime. Many of the milestones pointing to Jesus’ return are already in place. The time then to prepare for the earthquake is before it happens, not as it is happening. The time to prepare for Jesus’ return is before He comes, not as He comes. What does this mean for the person who calls themselves a Christian? It’s time to get serious about your preparations for His return. There are only two things you can take to heaven with you – your Christ-like character (1 Cor. 3:10-15) and people, nothing else. In John 15, Jesus states that His Father expects fruit in your life. Is there? If not, I would check where your faith is – yourself or Jesus. Do you really believe that Jesus died and rose from the dead in order to set you free from sin so you can enjoy a great relationship with Him and His Father? If not, now is the time to put your trust solely in what He did for you, not what you can or did do for Him. The Bible is clear on this point. “For the wages of sin is death, but the gift of God is eternal life in Christ Jesus our Lord.” (Rom. 6:23) And “if you confess with your mouth ‘Jesus is Lord,’ and believe in your heart that God raised Him from the dead, you will be saved.” (Rom. 10:9) I challenge you to take a few moments now and put your trust in what Jesus did for you and let Him save you and make you part of His Bride, the one He will return to take home with Him. Believer, Jesus tells us that He has given us resources to use to see Him change our lives and see others come to faith in Him. Are we faithfully using those resources? Or are you playing for more time? Are you counting upon church attendance to make Jesus happy with you or are you living in such a way that Jesus will smile when He sees you at His return? Will He say, “Well done good and faithful servant” at His coming for His Bride? I certainly hope so. If you believe that Jesus is Lord, it’s time to put that belief into action. It’s time to prepare. Jesus is coming sooner than you think!